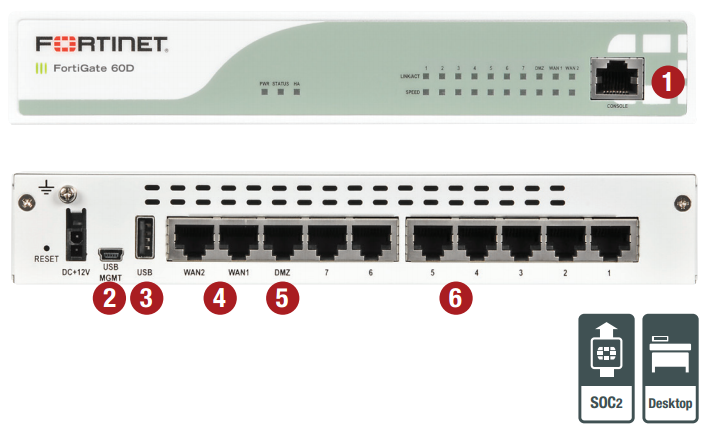 The FortiGate/FortiWiFi-60D Series are compact, all-in-one security appliances that deliver Fortinet's Connected UTM. Ideal for small business, remote, customer premise equipment (CPE) and retail networks, these appliances offer the network security, connectivity and performance you need at a single low per-device price. You get advanced threat protection, including firewall, application control, advanced threat protection, IPS, VPN, and web filtering, all from one device that's easy to deploy and manage. With our FortiGuard® security subscription services you'll have automated protection against today's sophisticated threats. Reduce the need for additional wireless access points by integrating a highbandwidth "fat-client" into your FortiGate with the FortiWiFi-60D. It's also a great option to secure mobile devices in BYOD environments with automatic device identification and customizable access and security policies. Built on the foundation of the FortiASIC System on a Chip 2 (SoC2) and FortiOS 5, the 60D series provides an integrated set of essential security technologies to protect all of your applications and data. 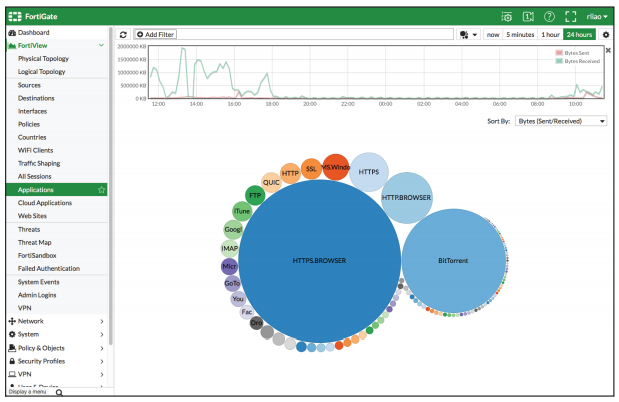 You get the industry's best firewall plus the latest in Advanced Threat Protection, Intrusion Protection, Web-filtering and many new features like Sandboxing, Feature Select Options for simplifying configurations and deployments, and Contextual Visibility for enhanced reporting and management. The RM-FR-T3 gives you the ability to mount your Fortinet desktop firewalls in a 19" rack. The rack is tailored specifically for the listed models to guarantee a perfect fit. In addition, the connections are brought to the front for easy access. The power supply is fixated to prevent an accidental loss of power. Assembly will take about 5 minutes. Simply slide your Fortinet device in the kit, place the retainers, connect the supplied cables to the keystones and fix the power supply to the rack. Download the Fortinet FortiGate and FortiWiFi 60D Series Datasheet (PDF).